Occupational Therapy volunteers work at a variety of centres in Kathmandu, including a hospital and centres for people with disabilities, such as muscular dystrophy and cerebral palsy. Occupational Therapy is currently not a widely recognised profession in Nepal. You will be involved in a challenging and innovative project, laying the foundations and making a real impact. This is an opportunity to shape the concept of occupational therapy in Nepal. This project is perfect for anyone qualified considering voluntary work abroad or occupational therapists on a career break. How can a volunteer Occupational Therapist help in Nepal? 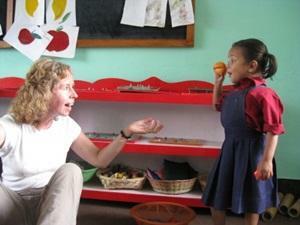 How can volunteer occupational therapist help in Nepal? Carry out occupational therapy assessments. Create action plans and goals for patients. about the role of occupational therapy and how it can be incorporated into patient rehabilitation. Volunteers working on this project must be confident and able to work independently. There may not be an occupational therapist working at the centre. Although senior staff and Projects Abroad staff are able to speak English, most patients will not. You will work for 4 hours per day, Monday to Friday, although this may vary. This project runs all year round so you can join at any time. You decide how much time you can spare and we will help you get the most out of it. Volunteers should note that it takes time to adjust to differences and to gain the trust of local staff. 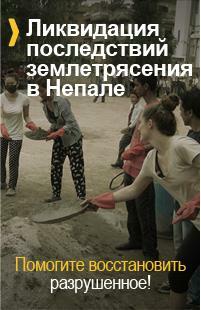 Therefore, the longer a volunteer is able to stay the more they and the centre will gain from the project. This voluntary work abroad will allow you to gain experience of a healthcare setting in the developing world. Working with often limited resources and staff lacking technical knowledge and training, you will be able to adapt and develop your existing expertise to a different working environment. You will often face challenges not experienced in your home country. All of this will provide you with valuable experience and transferable skills useful for your career, and make valuable use of your existing expertise where it is truly needed. You will learn about Nepalese culture and its way of life through speaking to your new colleagues. Staff and patients will want to hear about your life back home and your family and friends. We call this ‘cultural exchange’ and we think it helps our volunteers gain a new perspective on life. If you have at least a Bachelor’s Degree in Occupational Therapy or a related subject and two years’ experience, then you will be suited for this project. Specific specialisms or interests in your field will be highly desirable. Please discuss this with us on application.